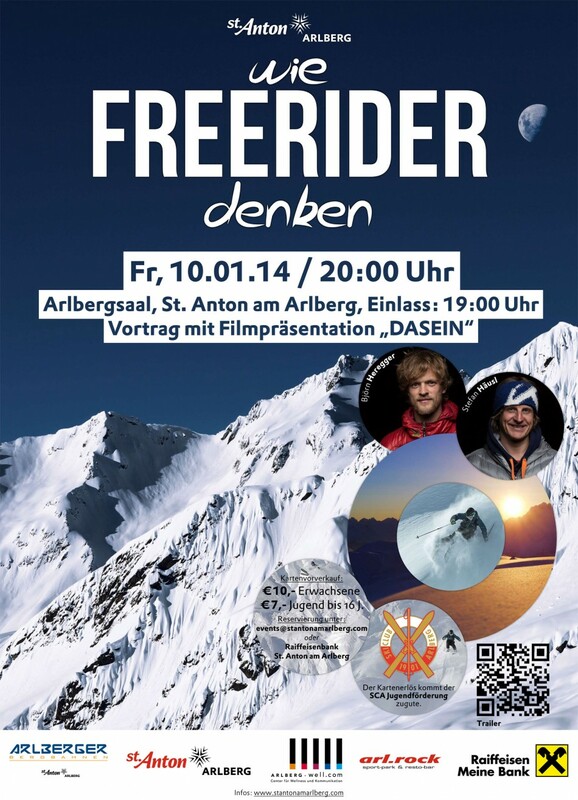 „WIE FREERIDER DENKEN“ 10th of January in St. Anton. snow is hopefully on its way. At the meantime we are skiing hard packed and practicing our landings. We are having fun out there, but we are all looking forward to feel some soft snow under our skies. Fingers crossed! On the 10th of January we (Björn and myself) are holding a presentation in St. Anton am Arlberg. We will talk about how we plan lines, how we reach them and how we ski them. Most of the time we think before we ski. After that you can watch DASEIN on the big screen! Would be great to see many many people there for this nice evening! Marry christmas! Pray for snow! This entry was posted on Sonntag, Dezember 22nd, 2013 at 3:58 pm. It is filed under Uncategorized. You can follow any responses to this entry through the RSS 2.0 feed.